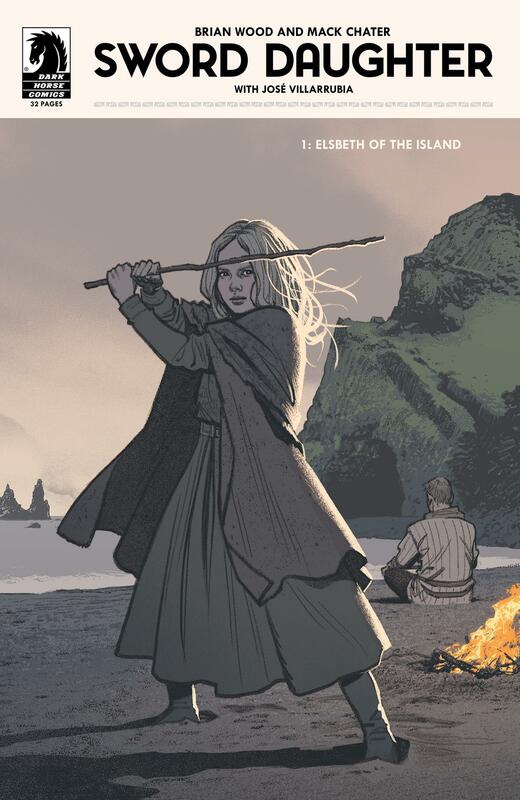 MILWAUKIE, Ore., (March 15, 2018)—This summer, writer Brian Wood, artist Mack Chater and Dark Horse Comics will unleash the new ongoing comic book series Sword Daughter, a Viking revenge saga unlike any other. The co-creators of the acclaimed Briggs Land, along with colorist Jose Villarubia, letterer Nate Piekos, and cover artist Greg Smallwood, are creating a raw and violent story that is a testament to the power of redemption and the resiliency of family, and a visually stunning tribute to samurai cinema. Each oversized issue of the first story arc of Sword Daughter by Wood, Chater, colorist Jose Villarubia and letterer Nate Piekos features 28 story pages, covers by Greg Smallwood and variant covers by co-creator Chater. Sword Daughter #1 debuts on June 6, 2018.